We offer restoration services on a variety of vintage pens. 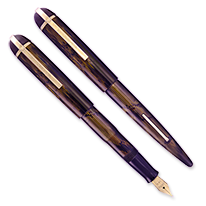 We specialize in fountain pen repairs, nib repairs, nib adjustments and tuning. We often can provide specialty services like Celluloid crack repairs. Regardless of the service requested, in all situations we will treat your pen as if it were a precious family heirloom of our own. Our goal is to send your pen back to you in the best possible working order, often even better than when they were originally manufactured. Below you will find a list that includes a good number of repair services available here at Indy-Pen-Dance. If you can't find the repair you believe your pen needs, or are uncertain as to your needs, please contact us to discuss your pen's specific situation. Please note that the prices listed below do not include shipping or insurance charges. Prices listed here are for standard work. Additional fees may apply if we have to replace parts other than those standard to the repair (e.g., a broken pressure bar) or if we have to correct damage resulting from previous improper repairs. We will replace the O-ring and Point Holder Gasket, remove the old sac, clean all remnants of the old sac from the sac protector, install new sac, adjust and align the snorkel then test with water to ensure that it draws and expels as designed. We use correctly sized replacement parts for the Point Holder Gaskets and the O-Ring to ensure proper function and long lasting restoration. We will replace the "O" ring and blind cap gasket, remove the old sac, cleaning all remnants of the old sac from the sac protector, install new sac and test fill with water to ensure that it draws and expels as designed. We will disassemble and clean the pen. The packing unit will be restored and the plunger gasket will be replaced. We will also test the pen overnight for any leakage. Here is how we test to make sure the seals and gasket are working correctly. Vac-fill Test The filling system will be tested with water once assembled to ensure that is draws and expels as designed. The piston will be removed and the old cork seals will be cut off and replaced with O rings. The pen will be cleaned along with the inside of the barrel to increase visibility as best possible. If the clear portion of the barrel is ambered it cannot be made clear through cleaning. The section unit will be dissasembled and cleaned. The nib will be reset and section replaced, then the filling system will be tested. Price is based on what parts are being treated. Parts are ran through a chemical process to restore the oxidized finish, soaked in a mineral oil bath, then hand buffed. We do not use temporary dyes or colors when deoxidizing pens. Tine alignment, flow adjustment and smoothing of the nib tip. Linda's goal is to make your pen a joy to write with, not a hassle. Linda has spent extensive time training under Richard Binder and is constantly honing her skill. Architect Grind $65 - requires broad nib. Regrinding Round Nib from $45 - requires nib broader than desired finished size. Except for warranty repairs, pens to be worked on are put into a queue several weeks in length to await their turn. 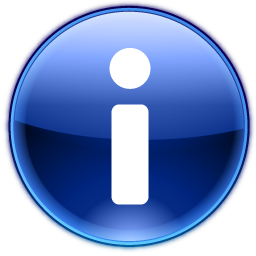 We will let you know the estimated waiting time when we notify you that we have received your pens. There is a minimum charge of $20.00 for any single repair or restoration order. Use of Noodler’s inks will void our warranty. We guarantee our restoration and repair work for one year. We guarantee our installation labor and all parts that we provide. (We cannot guarantee parts that you have supplied.) Wherever possible, we use original parts; that is, parts made by the original manufacturer for the pen model in question. This does not include matching the manufacture dates on pens bearing date codes. Also, we cannot warrant the life of a latex sac beyond 90 days.